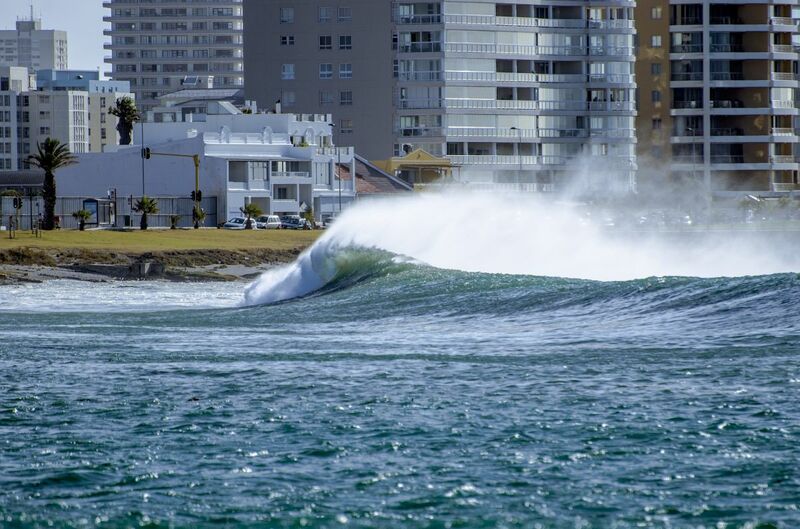 Cape Town’s coastline is not only spectacularly beautiful, it also has South Africa’s greatest number of internationally accredited Blue Flag beaches (displaying excellence across environmental education and management, water quality and safety) – 10 in all for the 2018/19 season. So, don’t miss out on a blissful day chilling out on your own sandy patch within easy saunter of the ocean this summer. Simply hop on the City Sightseeing red bus and hop off when you reach your beach of choice. 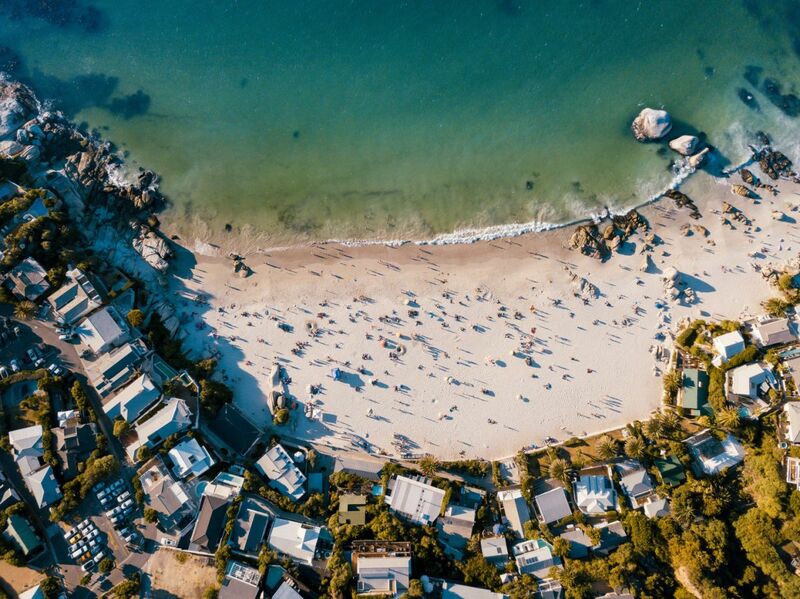 When in Cape Town in summer, do as the locals do – head to iconic (no exaggeration) Clifton. There are four beautiful, white-sand coves in a row in this heavenly spot, but 4th Beach with its azure bay – dotted with yachts on sunny days – is the most popular of all. It’s also largely protected from the notorious south-easterly “Cape Doctor” – the prevailing wind at this time of the year. Park off, be mesmerised by the natural beauty (and bodies beautiful) around you and – if you dare – take a dip in the refreshing Atlantic. The water is clean, but it’s cold! The easiest way to get here is to join the hikers, dog walkers and joggers and take a scenic seaside stroll from City Sightseeing stop 8 in Camps Bay to the Clifton parking lot, from where you take the steps down to the beach. Summertime, and the living is definitely easy in Camps Bay. Locals and visitors flock to this easy-going upmarket seaside suburb at the first hint of a bright, sunny day, so expect a lively, happy atmosphere. The large beach is great for sunbathing, beach games and people watching. For kids and others preferring a calm, safe swimming experience, there’s also a beautiful tidal pool with views of the sea to one side and the Twelve Apostles mountain range to the other. 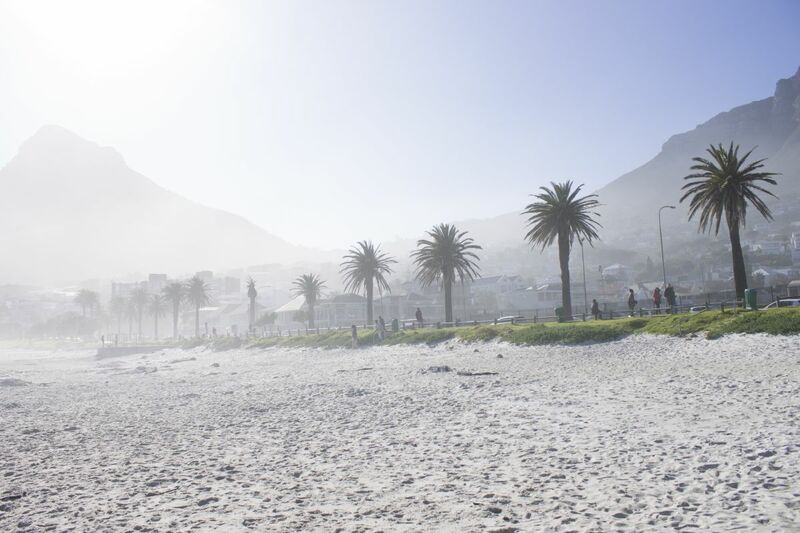 A major drawcard is Camps Bay’s long strip of restaurants and cafés, which buzz from breakfast time through to sundowners (a favourite activity is to watch the sun set over the ocean) and late into the night. You can also browse the shops or grab an ice-cream on the go. Vibey Sea Point is renowned for its many eateries offering every cuisine imaginable, its long, sociable Promenade and the colourful paragliders coming in to land after soaring in from nearby Signal Hill. But, of course, this seaside suburb has beaches, too! Most are rockier and less private than the ones further along the coast, but those in the know head to lovely, secluded Saunders Beach on the Bantry Bay side of Sea Point with its large (wind-sheltering) granite rocks, small white-sand beach and – best of all – fabulous tidal pool for swimming. Reach Saunders Beach by hopping off the red bus at stop 9 at the President Hotel (corner of Queens and Alexander roads) in Sea Point and walking along the beachfront towards Bantry Bay until you see the sign for the beach below. If you can’t choose where to spread your beach towel for the day, suss out the scene from the open top of the red bus on the circular Mini Peninsula Tour. 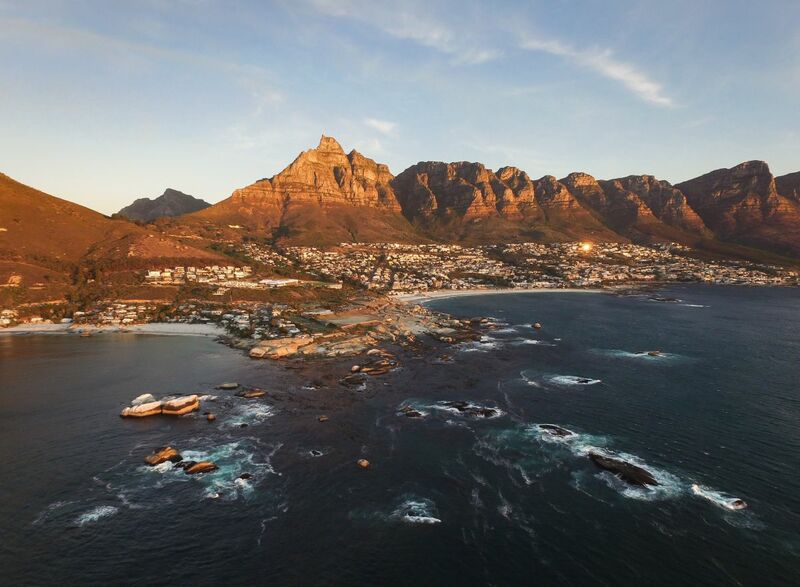 After leaving the city, you’ll pass through the Mother City’s leafy southern suburbs and Constantia wine country – but soon you’ll descend into Hout Bay with panoramic views of its enticing blue bay and surrounding mountains. Hop off at stop 24 at Mariner’s Wharf to spend some quality time here. 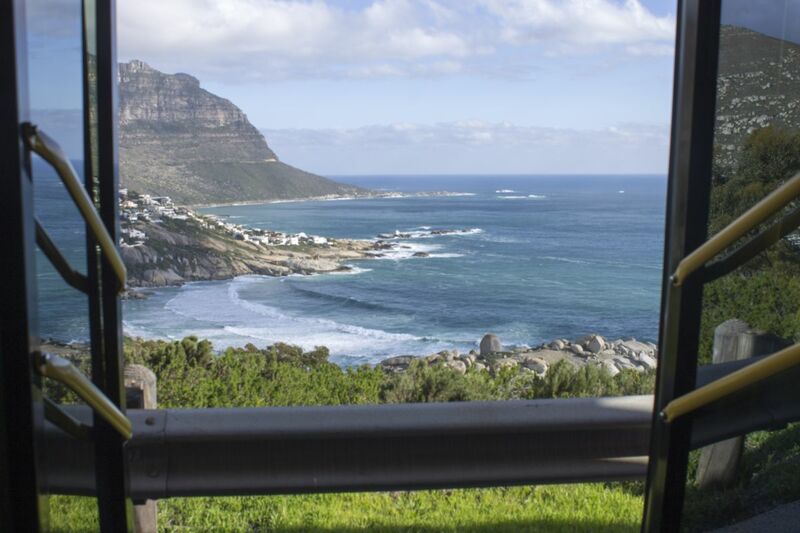 Just as you think it cannot get more scenic, you will leave Hout Bay behind and the Atlantic Seaboard vistas to your left will take your breath away as you approach pristine Llandudno beach. There’s no official red bus stop here – so simply feast your eyes for now and vow to return to join the sunseekers, surfers, families and romantic couples for a few hours in the sun, a dip in the surf and a walk to the rocks on the far end. The Mini Peninsula Tour continues on towards Clifton, Camps Bay and Sea Point en route to its final destination (stop 1 at the V&A Waterfront) – just hop off when you’re ready! See City Sightseeing’s Cape Town summer timetable and all the routes here.